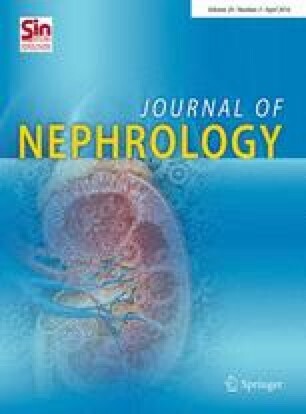 The purpose of this study is to investigate tacrolimus trough-level variability from 3 to 12 months following transplantation and its association with allograft survival in renal transplant recipients. In this observational cohort study, tacrolimus trough-level variability was used as the predictor of all-cause allograft failure (defined as return to dialysis) and patient survival (all-cause mortality). In total, 394 transplants were included in the analysis. Sixty-two transplants failed during the study. Tacrolimus trough-level variability across quartile groups were: Q1 median variability 12.5 %, range 4.76–15.71 % (n = 99), Q2 median variability 18.17 %, range 15.74–21.29 % (n = 96), Q3 median variability 24.63 % range 21.42–28.88 % (n = 100), Q4 median variability 36.91 %, range 28.91–81.9 % (n = 99). Higher tacrolimus trough-level variability was associated with inferior allograft survival in univariate models [hazard ratio per quartile increase (HR), 1.46, 95 % CI 1.16–1.83, p value = 0.001] and multivariate models (HR 1.36, 95 % CI 1.05–1.78, p value = 0.019). Higher tacrolimus trough-level variability was not associated with patient survival; univariate model (HR 1.25, 95 % CI 0.90–1.74, p value = 0.17), multivariate model (HR 1.25, 95 % CI 0.86–1.83, p value = 0.23). Inferior renal allograft survival was observed in recipients with higher variability in tacrolimus trough-levels. This study was a retrospective observational study using data from a prospectively gathered National Registry of Renal Transplant Recipients. Particularly, patients or their personal medical record charts were not contacted as all data was retrieved from the transplant database as is, so informed consent was not sought.